We've tried out the KANO Harry Potter Wand kit, a new kids coding gadget and app which has been released in time for Christmas 2018. I love Harry Potter myself so this product really appeals. 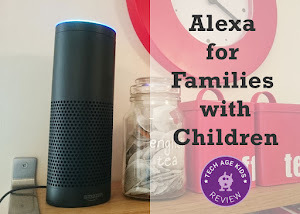 At Tech Age Kids we always try and put a purpose behind coding to make it more engaging and this product does just that. I tried the kit out with an 11-year-old Harry Potter fan who loves technology. 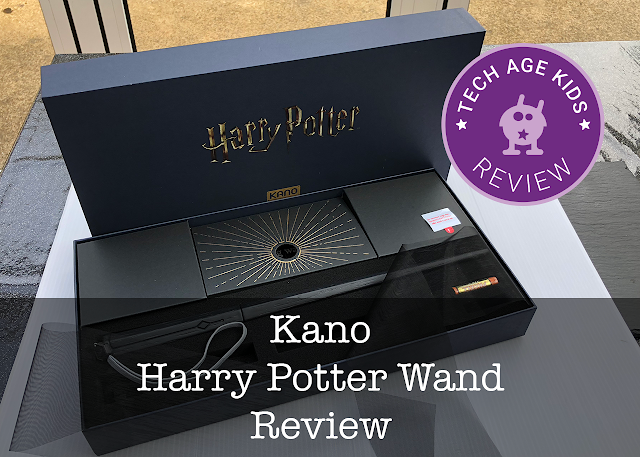 Disclaimer: KANO sent us a Harry Potter Wand Kit for the purposes of this review. As always our opinions are our own. The kit comes in a sizeable box with an outer slipcover with all the practical information and a very nice storage box that the wand can be kept in. The wand is covered with gauze material which makes it feel like a premium product. The nice box makes the kit an impressive gift though it does mean it takes some space to store. The wand is made from plastic but is a nice size and the decoration is detailed. Our tester was impressed that the wand not only came with batteries but also included a spare set. 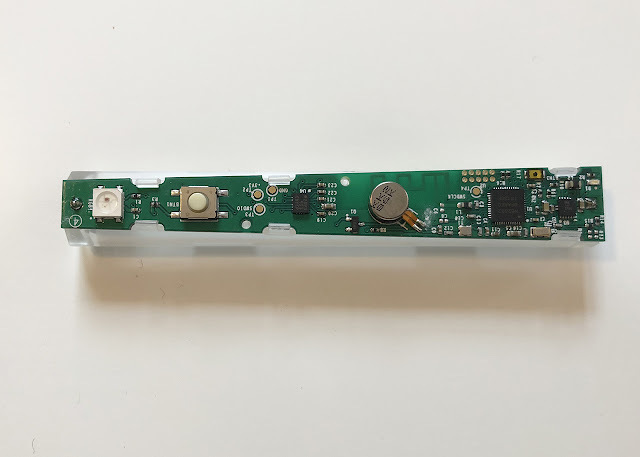 To assemble the wand you just add batteries and then insert the electronics into the wand, there's no complex assembly involved. There's a booklet that explains the assembly and introduces the wand. Our tester liked that the booklet introduces the term 'printed circuit board' (PCB) and isn't afraid to use the proper terminology. We found that it wasn't particularly obvious where to go to get the app. It turns out that the Harry Potter wand content is just part of the generic KANO app. You can use the wand with Windows 10, iPads or Android devices. Our tester was disappointed that you couldn't use the wand with a phone, you need a bigger screen. You have to create an account before getting started which always adds a bit of friction to the process and requires that you have Wifi. Our tester was soon up and running with the app. The app is very nicely put together with a map of the Harry Potter world to move around and discover challenges. The coding is block-based. You drag and drop blocks from a palette onto the main canvas. Lots of children will be familiar with this approach from learning Scratch or using Blockly-based tools at school. There are blocks to detect wand movements and spell patterns and the actions are changing the colour of the wand itself plus making things happen onscreen with a variety of Harry Potter themed props. The tutorial content is very much step-by-step which can be a bit frustrating for more able coders as if you get ahead of the tutorial the app makes you go back and redo everything in the order it expects. You can change the code and make it do what you want though. The app can detect wand movements that are made with the wand while holding down the button. The wand movements are displayed on the screen so you get instant feedback which makes it easy to see if you are getting the pattern correct. We found that the detection is pretty reliable. There's a large library of spells (wand movement patterns) which can be used. We found the combination of a physical wand plus onscreen props worked really well. One of the frustrating parts of learning to code is having to do lots of boring setup stuff before you get to the interesting bits. Here you have lots of precoded props that are available to use in programs. Lots of the actions that can be performed using code create visual effects and apply physics. This works really well. 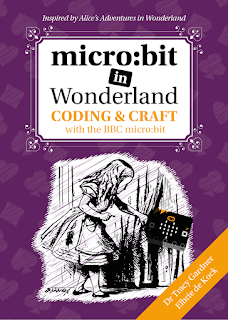 We're reviewing this kit after the BFX Family Weekend - an event for introducing children to the skills involved in creating visual effects for games and movies so this is very timely! The focus on visual effects and physics also ties in well to the Harry Potter movies and the plethora of computer games. The tutorials introduce coding concepts gradually. There's not a lot of explanation about what is happening so sometimes it can feel like you are just going through the motions and following the instructions. There are regular puzzle challenges to solve with code but some of these felt like they could do with a bit more scaffolding so children would understand what they need to do. But there's enough repetition of concepts that gradually you learn how things work. There's a lot to be said for learning by experimenting and trying things out. I think some kids will learn more than others by going through the tutorials. Some will really think about what their code is doing and others will just be happy to achieve the end result. There's also the opportunity to create your own projects which is where the more able coders can really put what they have learned into practice and consolidate their skills. There's plenty of learning opportunity here but kids will need to put some effort in to get the most from it. The app is really nicely designed with appealing modern graphics and atmospheric music. You navigate the challenges via a map of Hogwarts and the nearby Hogsmeade. You also get to dress up and accessorise your avatar with all manner of HP-themed items that you collect by solving challenges. There's plenty here for Harry Potter fans. The kit doesn't just have the Harry Potter label on it, it really brings in lots of locations and items from the wizarding world. You can also share your creations with others and try out what they have made. There's plenty of scope for kids to get really into creating projects for others to try out. At the end of play our tester wanted to turn off the wand to save the batteries. There's no button on the wand to power it off completely. The FAQ states that the want can stay in a ready-to-play state for up to two weeks but we would rather be able to turn it off so that it will be ready to play with after a longer break. We ended up taking the batteries out, but this isn't easy as the catch that opens the wand is quite tricky. We found that pushing on the release button with a pen did the trick. The Harry Potter wand is suitable for beginner coders. Kids who are old enough to enjoy the Harry Potter books or movies will fine with the difficulty level of the app. The age on the box is 6+ and some motivated younger children will be fine with the app as long as they have some adult support when needed. 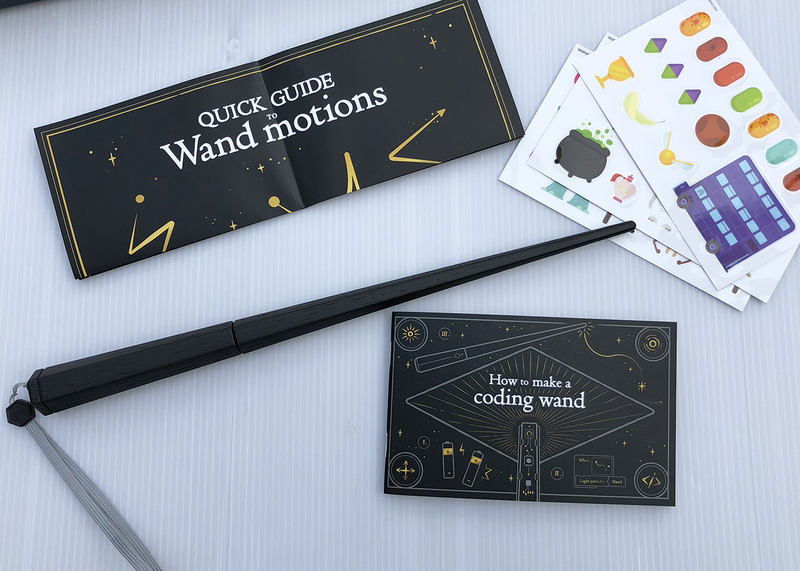 Older kids with some coding experience will still enjoy the coding if they are motivated by making this happen in the Harry Potter universe and using the physical wand to make their code do its magic. 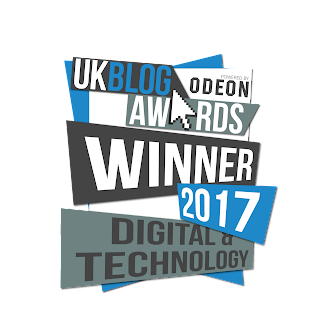 Experienced coders might find things a bit easy but if they love Harry Potter then they will be able to focus on the projects they can make. Some of the puzzles are more difficult and will offer some challenge to the more capable coders. 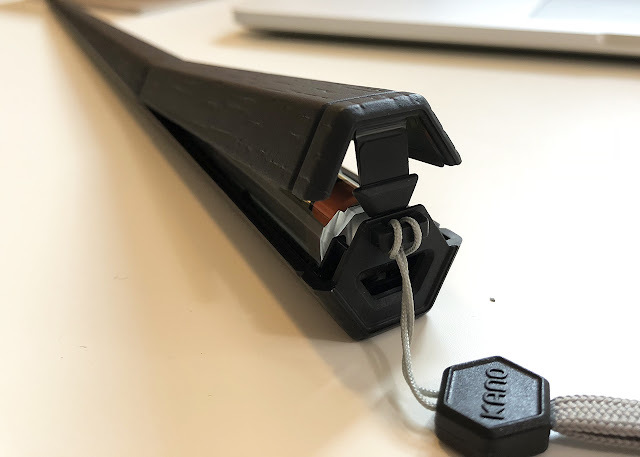 The KANO Harry Potter Wand kit retails at $99/£99 which makes it a fairly expensive gift if you just look at the wand itself. But you have to take into account the extensive educational content in the app plus the Harry Potter branding. For a child who loves Harry Potter this might be just the product to get them into coding. When you compare the price to real-world classes or an online course then it comes out very favourably. 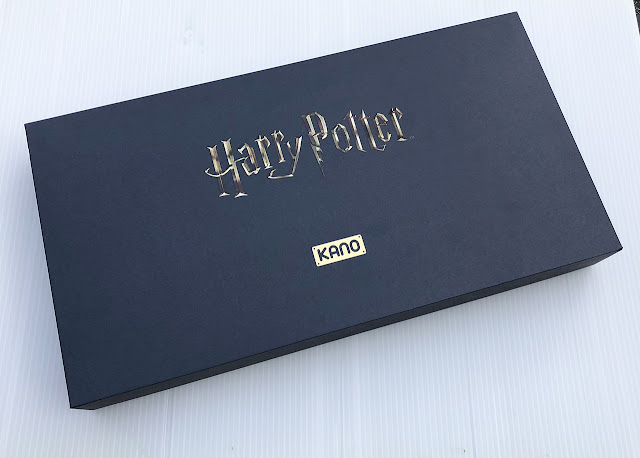 We love the KANO Harry Potter Wand kit. Every now and then there's a kids coding product that I actually really enjoy testing myself and will happily carry on playing with after I've fully investigated it for a review. This is one of those products. For a Harry Potter fan, there's a real feeling of connection every time a new object from the HP universe is unlocked or discovered. It's also brilliant to have an alternative to robots. 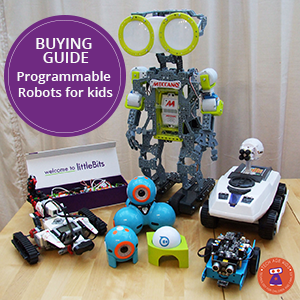 We do like coding robots and have had lots of fun with them, but it's great to have alternative ways to introduce children to coding. We think the KANO Harry Potter Wand kit should be a big success this Christmas and holiday season.